Encourage your students to branch out and think creatively when writing sentence openers. Too many sentences begin with it, the or there. A good writer will open a sentence with other words to make sentences more interesting. 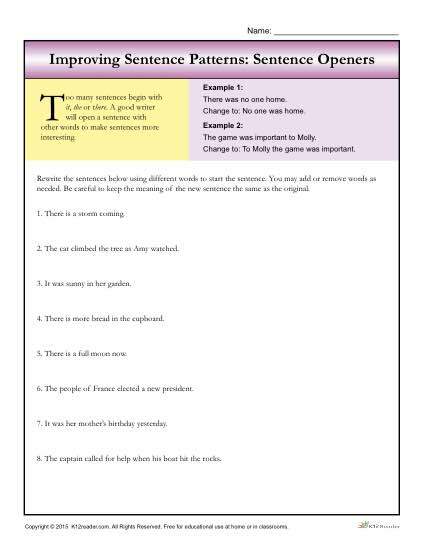 In this activity, studnts rewrite the sentences using different words to start the sentence. They may add or remove words as needed but need to becareful to keep the meaning of the new sentence the same as the original.